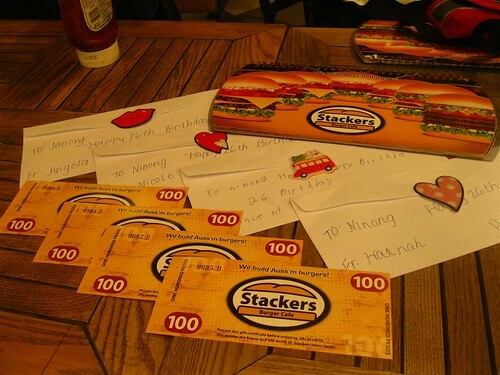 As I've mentioned on my previous post, I received 400-peso worth of Stackers Burger Cafe vouchers from my sister-in-law and pamangkins for my birthday last April. What really touched me is how the vouchers are wrapped. 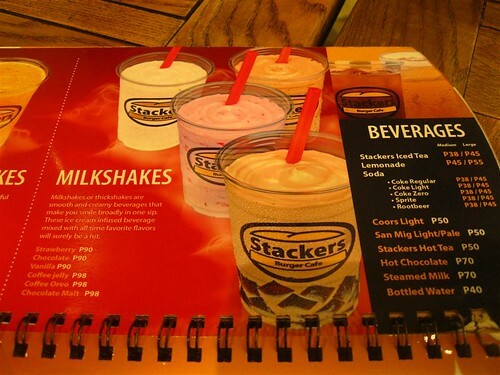 I and a friend used these vouchers at Stackers in Eastwood, they also have a branch at McKinley Hill in Taguig. 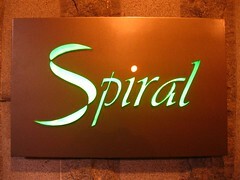 And by the way, both branches are open 24/7, reasonable enough since both are located in BPO populated compounds. 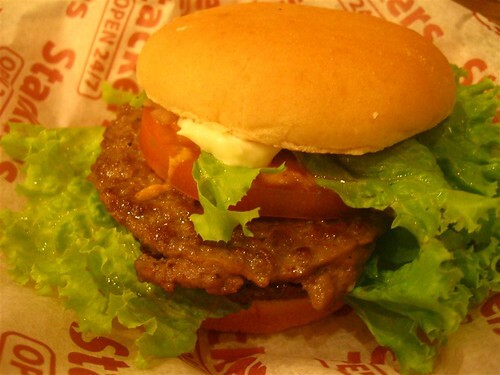 Of course, burger is on our list. 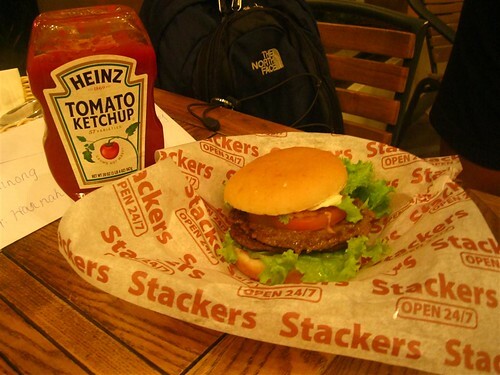 We ordered Double Stacker (P158) which is basically a burger with lettuce, mayo and tomato slice - just double the beef patty. 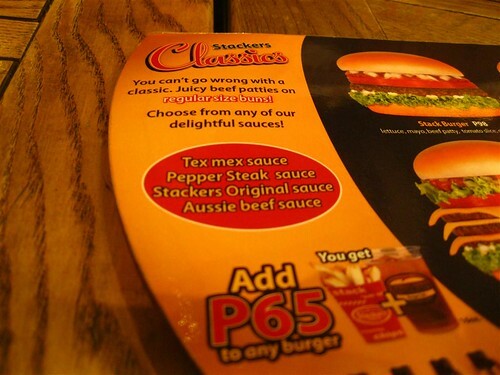 What's more is that you can choose your preferred burger sauce from Tex Mex, Pepper Steak, Stackers Original and Aussie Beef sauces. 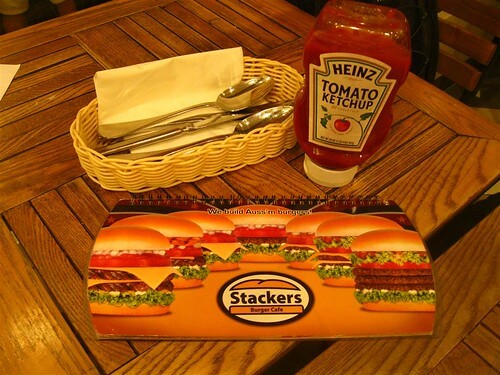 We chose Stackers Original sauce which the waitress said is sorta cheesy. 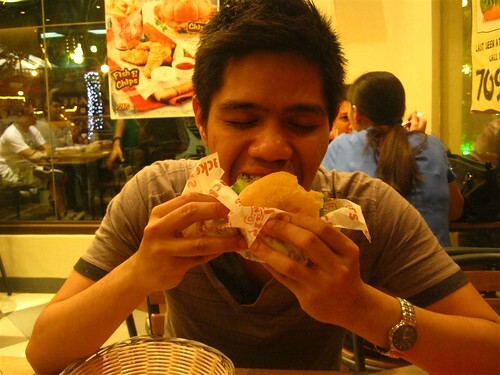 Burger is tasty compare to other non-Filipino burger chains I've tried. 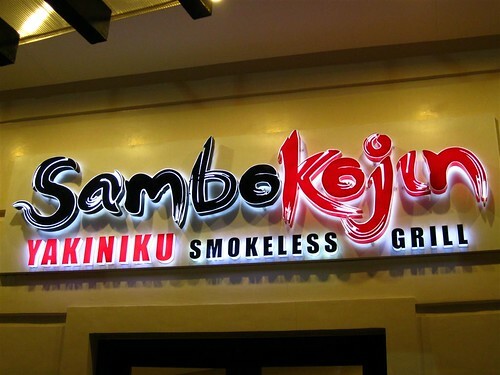 I actually like it better than the more famous American burger house which we'll hide by the name "BK" hehe. Using Australian beef is probably a factor since good breed of cows are raised there. 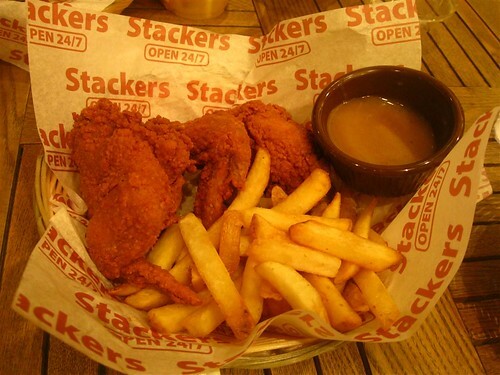 We also had 2-pc Chooks and Fries (P163). 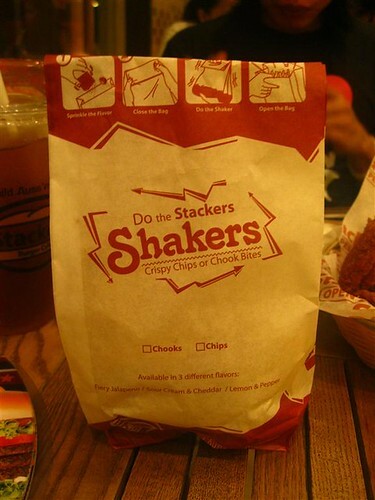 For Stacker's class, we actually expected a bit more. 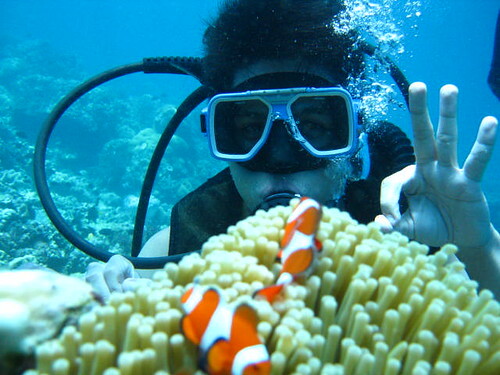 Nevertheless, it's still good. 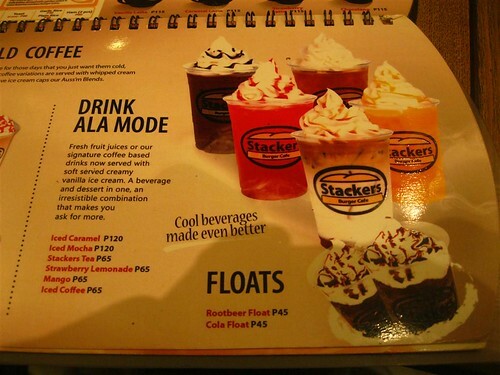 For drinks, I had Stackers Iced Tea (P45) while my friend had Mango Ala Mode (P65). 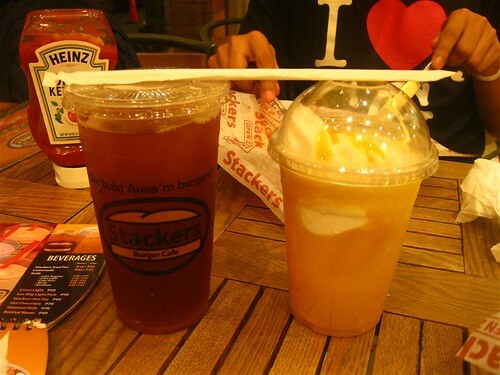 Iced Tea is not too sweet, it's smooth and I can sense the citrus taste. 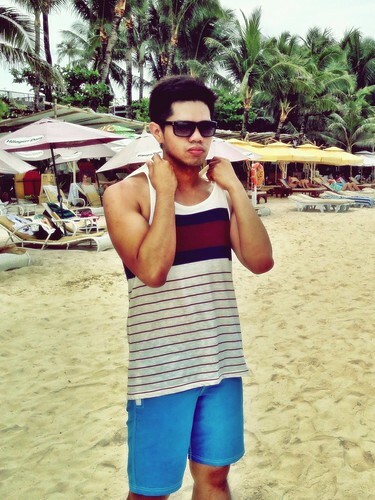 Mango Ala Mode is also smooth, taste is so-so. 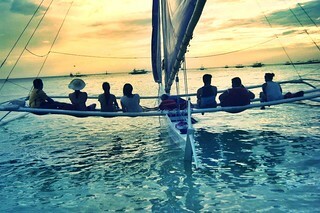 Overall Rating: Above Average na rin considering that it's not super heavily priced. 5 non-violent reactions so far. 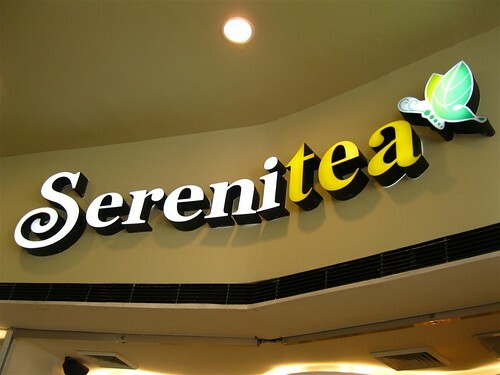 teka bigla tuloy akong nalungkot nung naalala ko pa yung panahon na kumpleto pa tayo... those were the days!